If you want your viewers to be glued to their screens then quality audio is just as important as quality video for your YouTube channel. People will watch your vlog because they want to hear what you have to say. It can be tempting to use the audio your camera records rather than buy a separate microphone, but unfortunately, the built-in microphones in your phone / camera are omni-directional and will record every sound around (even air) and you will end up recording mediocre audio. Hence the inbuilt microphones are a worst choice for vlogging. As much as a good camera is important for making high quality YouTube videos, the audio quality is equally important as video quality, and if you’re looking forward to launch your new YouTube channel on a professional basis, a dedicated microphone is a much needed investment for ensuring great audio quality.Most of us like to start with our smartphone or mostly iPhone, hence we will start with the Best Microphones for iPhone or any Smartphone. 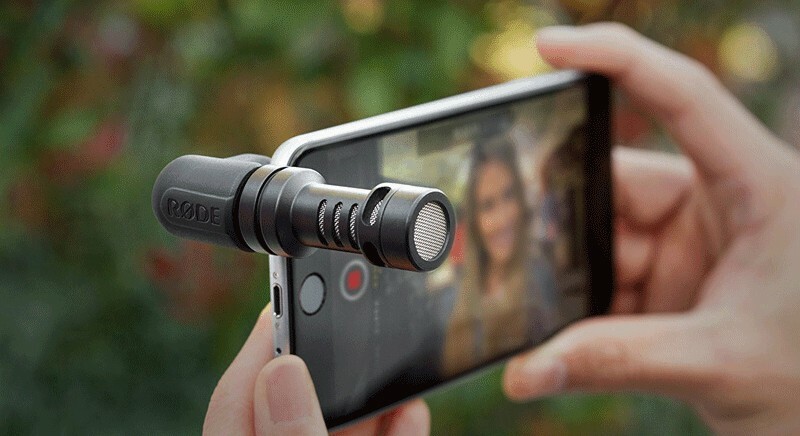 The Rode VideoMic Me is a clip on directional mic for your Smartphone. It is designed for ipad and iphone but the adjustable mount that clips the mic to the iphone works on most Smartphones. It is a directional mic which means it will only pick up what is in front of it. This means you won’t pick up any nasty background noise when you are trying to shoot your videos. It comes with a windshield, a.k.a deadcat that goes over the microphone, to offer better results when it’s windy. This is undeniably one of the most intuitive way of recording audio on the go, mainly because there are few hassles that come along with getting it set up. All that’s needed is for you to connect it to the headphone jack on your mobile device and that’s it! Its easily one of the Best Microphones for iPhone. It is one of the Best Microphones for YouTube Vlogging. Its small form means it is also portable and won’t take up much space. A perfect budget friendly alternative to the Rode VideoMic Me. Similar to the more-is-better approach we saw with the Purple Panda Lavalier, the BOYA BY-MM1 includes a slew of accessories that complement the experience. 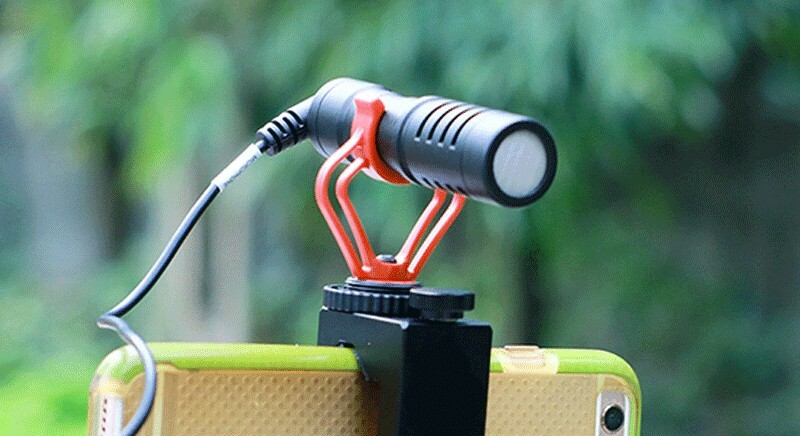 In this case, not only do you get the cardioid microphone that attaches via the headphone jack on your mobile device, but it even comes packaged with a useful fuzzy windscreen cover, smartphone holder, and a compact tripod that doubles as a grip. BOYA BY-MM1 audio quality is excellent and equal if not better than Rode VideoMic Me, however, the sheer number of extra goodies, combined with the fact it is priced lesser than Rode’s offering, does make it a compelling offer. So are these the Best Microphones for YouTube Vlogging ? Today the smartphone is increasingly becoming the vlogger’s choice for quick and simple content sharing, these tips can elevate a video’s overall quality. You can have the best-looking shots and angles using your smartphone’s camera, but if the audio turns out bad, it can be a deal-breaker. These two cardioid mics deliver top-notch audio. Given their simplicity, it doesn’t take a lot of preparation or setup – it’s just a simple connection to the headphone jack and you’re good to go! As these are compatible with both iOS and Android, we can simply conclude that these two are the best microphones for iPhone or any Smartphone for video recording. This entry was posted in Best and tagged Best Microphones for iPhone, Best Microphones for YouTube Vlogging, boya by-mm1, rode videomic me. thank you. I purchased the Boya after read your article.